Significant international and cross-border migration has led to a growing availability of migrant healthcare guidelines (MHGs), which we systematically reviewed for quality. PubMed, MEDLINE, CINHAL, PsychINFO and guideline developer/guideline databases were searched for MHGs published 2006–2016. Three independent reviewers assessed eligible MHGs using the Appraisal of Guidelines, Research and Evaluation II instrument (AGREE II). MHGs were identified as high quality if they had a score of ≥ 60% in at least three of the six domains, including “rigour of development”, and overall quality was assessed on a seven-point Likert scale. We included 32 MHGs. Overall agreement between reviewers was very good. Mean scores for each AGREE II domain were as follows: 85 ± 19.0% for “scope and purpose”; 51 ± 30.5% for “stakeholder involvement”; 34 ± 31.9% for “rigour of development”; 86 ± 7.3% for “clarity of presentation”; 40 ± 23.6% for “applicability”; and 27 ± 38.5% for “editorial independence”. Nine and six MHGs were deemed “recommended” or “recommended with modifications”, respectively, and 17 were “not recommended”. Our review of MHGs has highlighted critical deficiencies in rigour of development, applicability, editorial independence and stakeholder involvement that point to the need for improvements in future MHGs. The online version of this article ( https://doi.org/10.1007/s10903-018-0759-9) contains supplementary material, which is available to authorized users. EA is a doctoral candidate for the PhD in Methodology of Biomedical Research and Public Health (Department of Paediatrics, Obstetrics, Gynaecology and Preventive Medicine), Universidad Autònoma de Barcelona, Barcelona, Spain. Also, we acknowledge Ailish M J Maher, a medical writer/editor for providing important edits to the writing ad presentation of the manuscript to improve clarity. EA and PAC contributed to the conceptualization, design and conduct of the study. EA, IS and PF contributed to the search strategy design, searching and screening. EA and IA performed data extraction with input from PF. EA, IA and LH evaluated the MHGs using the AGREE II tool. EA performed data analysis with input from PF and PAC. EA, IS, PF and PAC interpreted the data. EA wrote the initial draft of the manuscript, which was then added to and edited in subsequent iterations with PAC, PF, KP. All authors reviewed and approved the final manuscript. There was no specific funding support for this study. PAC received support via a Miguel Servet investigator Contract from the Instituto de Salud Carlos III (CPII15/0034). AGREE Enterprise Website: AGREE Enterprise Website. 2013. http://www.agreetrust.org/resource-centre/agree-ii-training-tools/. Accessed 02 Sept 2016. McMaster AGREE II score calculator Excel spreadsheet. : Canadian Partnership Against Cancer Corporation. https://content.cancerview.ca/download/cv/treatment_and_support/cancer_guidelines_resource_centre_microsite/documents/cepagreeiiscorecalcxls?attachment=0. Accessed 02 Sept 2016. Centre for Disease Control and Prevention. Guidelines for evaluating and updating immunizations during the domestic medical examination for newly arrived refugees. 2015. http://www.cdc.gov/Immigrantrefugeehealth/Pdf/Immunizations-Guidelines.pdf. Accessed 05 July 2016. Centre for Disease Control and Prevention. Guidelines for mental health screening during the domestic medical examination for newly arrived refugees. 2015. http://www.cdc.gov/immigrantrefugeehealth/guidelines/domestic/mental-health-screening-guidelines.html. Accessed 05 July 2016. Centre for Disease Control and Prevention. Guidelines for overseas presumptive treatment of strongyloidiasis, schistosomiasis, and soil-transmitted helminth infections. 2013. http://www.cdc.gov/immigrantrefugeehealth/pdf/intestinal-parasites-overseas.pdf. Accessed 05 July 2016. Overseas refugee health guidelines: Malaria: centre for disease control and prevention. 2012 [cited Division of Global Migration and Quarantine (DGMQ) and Office of Refugee Resettlement (ORR) Health Work Group. http://www.cdc.gov/immigrantrefugeehealth/pdf/malaria-overseas.pdf. Centre for disease control and prevention. Guidelines for screening for tuberculosis infection and disease during the domestic medical examination for newly arrived refugees. 2012. http://www.cdc.gov/immigrantrefugeehealth/pdf/domestic-tuberculosis-refugee-health.pdf. Accessed 05 July 2016. Centre for Disease Control and Prevention. Screening for sexually transmitted diseases during the domestic medical examination for newly arrived refugees. 2014 (updated 28 Feb 2017). http://www.cdc.gov/immigrantrefugeehealth/guidelines/domestic/sexually-transmitted-diseases/index.html. Centers for Disease Control and Prevention. Lead screening during the domestic medical examination for newly arrived refugees. 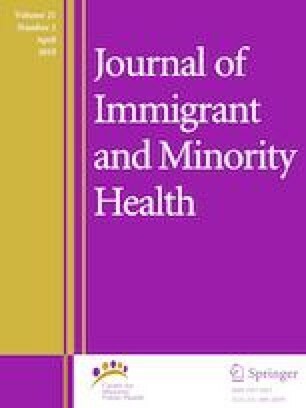 2013. http://www.cdc.gov/immigrantrefugeehealth/guidelines/lead-guidelines.html. Accessed 05 July 2016. Office of Refugee Resettlement (ORR) Health Work Group; Centre for Disease Control and Prevention. Intestinal parasite guidelines for domestic medical examination for newly arrived refugees. 2013. http://www.cdc.gov/immigrantrefugeehealth/guidelines/domestic/intestinal-parasites-domestic.html. Centre for Disease Control and Prevention. Guidelines and discussion of the history and physical examination. 2012. https://www.cdc.gov/immigrantrefugeehealth/pdf/guidelines-history-physical.pdf. Accessed 05 July 2016. Centers for Disease Control and Prevention. Domestic refugee health guidelines: Malaria. 2012. http://www.cdc.gov/immigrantrefugeehealth/guidelines/domestic/malaria-guidelines-domestic.html. Accessed 05 July 2016. GIN-McMaster guideline development checklist. Ontario: McMaster University. 2014. http://cebgrade.mcmaster.ca/guidecheck.html.